← Apple Crisp – An eggless and super quick dessert! 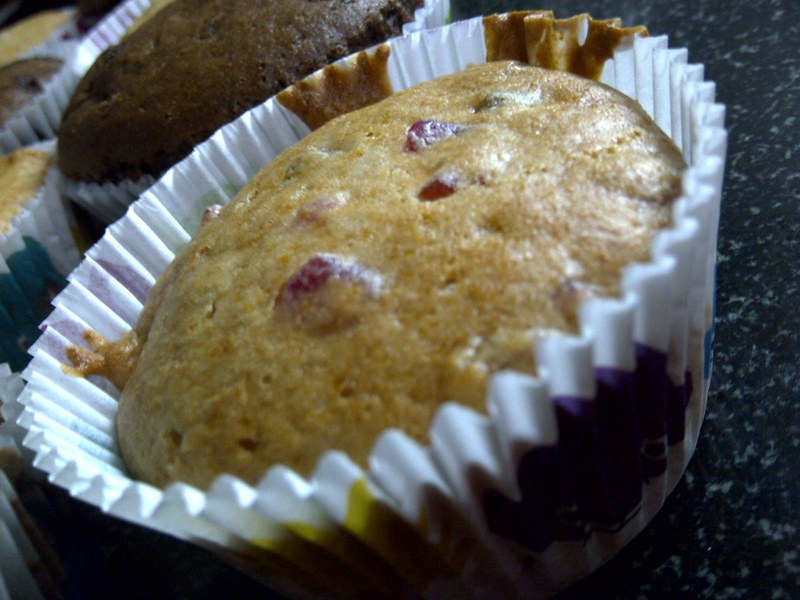 Pour the batter into cupcake lines or grease a muffin tray. Bake in a pre heated oven at 350 degrees Fahrenheit or 175 degrees Celsius for 20-25 minutes. Once cooled, you can frost it with your favorite frosting. But these, without any frosting, are perfect with coffee or on their own! 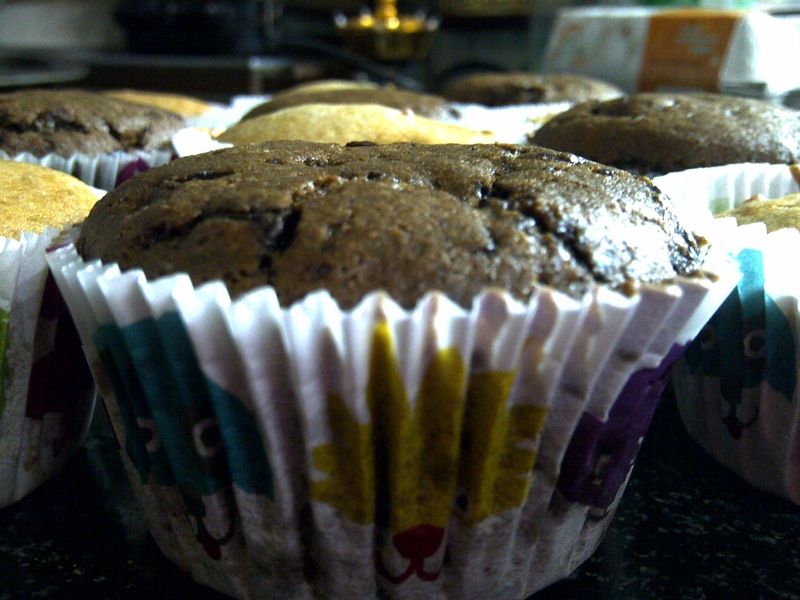 This recipe makes rich dark chocolate cupcakes. If you prefer to make them without chocolate, omit the 1/3 cup of cocoa and replace with 1/3 cup of flour to make a plain vanilla batter. I make tutti fruiti cupcakes by mixing about 1/2 cup of tutti fruiti pieces in the vanilla batter. 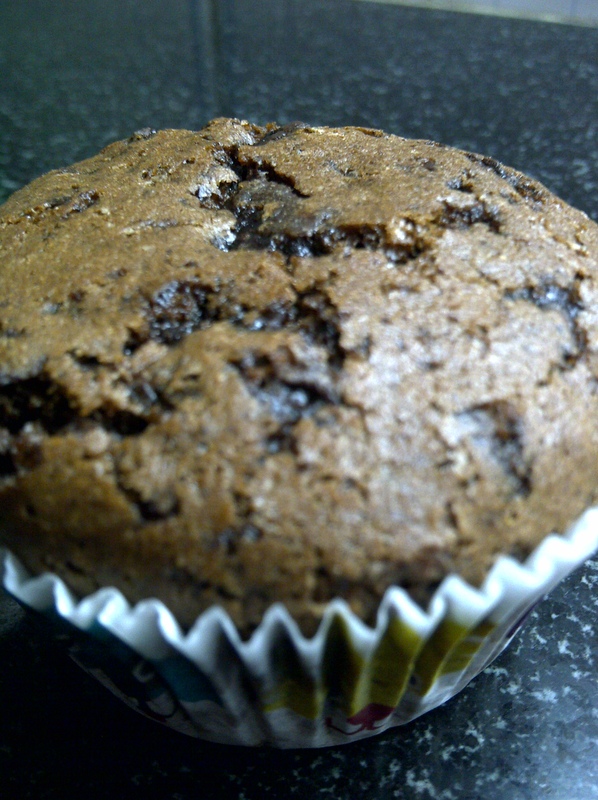 To make chocolate chocolate chip muffins, add 1/2 cup (or more!) chocolate chips in the chocolate batter. There are endless mix ins you can add! Feel free to experiment and let me know what combinations turned out best for you! The original author of the post suggests that you can make a layer cake by doubling the recipe and putting it in 2 round pans. Increase the baking time to 35 minutes or until a toothpick comes out clean when inserted in the centre. It’s so easy to make these and so quick! Maybe thats what I love the most about this recipe. Put everything in one bowl, mix it a little and in less than half an hour, you have these hot to eat! Wait, isn’t that a bit dangerous though? Something so good, so quick?? I wonder…..